Stop by downtown Charles Town one Saturday morning. Try some free samples and support your local artisans. There is a wide variety of products and foods to choose from, every week seems like something new. A seasonal, weekly gathering of farmers, consumers, bakers, kids, musicians, artists, athletes, non-profits, business owners, city and town representatives and interested citizens. A place to shop, relax, visit, talk, connect, eat, and enjoy. Once again for 2017, this is the best Farmers Market in the panhandle. 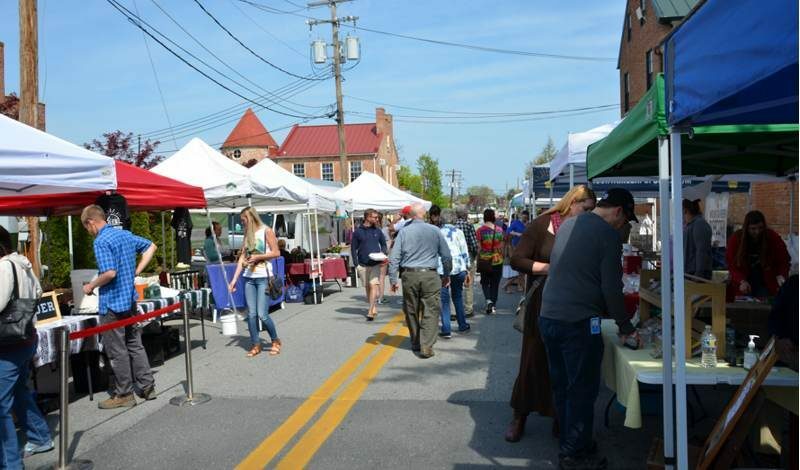 Did you catch WV Pan live from Shepherdstown Farmers Market? Follow us on facebook to keep up on new events and live broadcasts! Do you know an artisan we are missing? One of our main goals is to bring the panhandle online. This means searching high and low for everything hidden in the area. If you know about an artisan that could take advantage of the WV Pan network, enter them here.